Authentic Essays | Custom Research Paper, College Term & Essay Writing Services Why does Woolf close To the lighthouse with the word “Vision”? 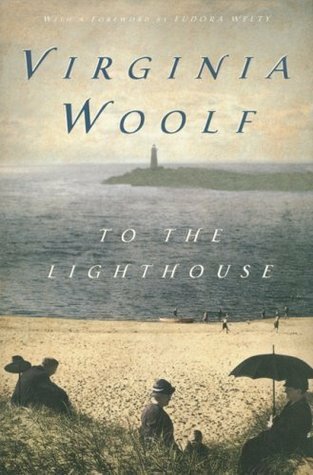 Why does Woolf close To the lighthouse with the word “Vision”? 12:18:00 AM Why does Woolf close To the lighthouse with the word “Vision”? Woolf is widely acclaimed and admired due to her vivid and technical approach to literature. Her works are identifiable by a stream of consciousness and narration as depicted in the novel To the Lighthouse (1927). The work is considered her greatest achievement as she strives to illuminate issues pertaining to feminism, marriage and necessity and the struggle for women as they strive in the performance and achievement ladder. Good and great stories are told from the perspective of fundamental ingredients. The initial situation is cited, and a conflict is developed that gives rise to complications, climax, suspense, denouement paving way to a resolved conclusion. Either in a work of fiction or a real life simulation scenario, renowned writers indulge in shaking up the writing recipe and inculcating some spice to the literature to catch and maintain the attention of the reader as they drive their point forth. In this essence, it becomes tough to evaluate the plot of the novel since time does move with a definite goal to the narrative. The plot depicts struggle, one that correlates directly to the issues faced daily and the challenges in overcoming the same. Virginia Woolf uses numerous characters to deliver the plot and portray a writer who capture and maintains dominance in a specific realm. A realm that engages the writers and supposedly engulfs them in the reading. Mrs. Ramsay, for example, has been portrayed as a character of great kindness as she emerges in the novels opening pages. She has been shown to be tolerant and a protector. Her main duty is the protection of James her son and maintaining her his hope as it is in the lighthouse. It is evident that she spends most of her time thinking about others and placing them before her own needs. “For now she needs not think of anybody. She could be herself, by herself. And that was what now she often felt the need of - to think; well not even to think. To be silent; to be alone. All the being and the doing, expansive, glittering, vocal, evaporated; and one shrunk, with a sense of solemnity, to being oneself, a wedge-shaped core of darkness, something invisible to others... and this self-having shed its attachments was free for the strangest adventures. (Woolf)” Therefore, her duty in this case can be fundamentally related with the role played by women in the society. They are looking for ways to enhance the livelihoods of their children, and as such, they appear as protective as opposed to being domineering. Despite the realization that changes in the weather would ruin their voyage, she is full of hope and assures her son that the trip is a possibility. A depiction of the light of hope, one that was lingering in the woman’s heart despite circumstantial evidence that said otherwise. In the process of given hope, she is realistic and does not raise expectations that cannot be met. The attribution of this can be correlated with her realization that the pleasures and beauties of the world are to be preserved, cultivated and protected. A deep commitment is shown in her belief that she attributes herself and behaves in a similar manner with her guests. The commitment surpasses and encapsulates those that do not deserve nor appreciate her kindness. Among these are Augustus Carmichael, who she is convinced does not like her as well as tolerates Charles Tansley behavior. There are those individuals such as the latter whose behavior is wanting and pose a risk of crumbling down the effort of Ramsay in making a comfortable and inviting home. The theme of masculinity and femininity are analyzed in the novel. The feminine principal has been emphasized and represented by Miss Ramsay. Charles and Mr. Ramsey, on the other hand, are symbols used buy Woolf to signify the masculine intelligence. Despite this, the author depicts through the use of undertones and the evaluation of the characters behavior that one gender platform depicts hope while the other the light is fading away. The masculinity is represented as dissecting, analytical, and proportional in propensity, emotional, peevish, egocentric, and undeveloped and a kind of behavior to be discarded in the society. The differentiation of the two principles is evident through the comparison of Mr. and Mrs. Ramsay presentation and the contrast is emphasized by Charles Tansley and Lily Briscoe. The attitude of men towards women is wanting and questionable in this society and era. The author uses a polemical attack to the patriarchal dominance of men in the society. However, the citation of this is arguable based on the notion of the reader. Life and its meaning are deeply explored in the text. “What is the meaning of life? That was a simple question; one that tended to close in on one with years, the great revelation had never come. The great revelation perhaps never did come. Instead, there were little daily miracles, illuminations, matches struck unexpectedly in the dark; here was one. (Woolf)” The hope in the changes in life was nowhere to be seen. It is evident that simple question carried weight and hope for the feminine gender. Hope that one-day life could have some meaning and equality could be achieved. However, at this juncture the changes observed in daily life were nothing short of mere miracles. The reality and the meaning of life depicted something else different entirely. The work of Mrs. Ramsay depicts the reality and the conspicuousness that is perceived from that reality. “How does one know that the reality they know is real? (Woolf)” A conjecture is drawn by the author between the current events and the past and the future. Mr. and Mrs. Ramsay incur different strategies in an attempt of making their lives have meaning and be significant. Mr. Ramsay progression is devoted to the human thought course. On the other hand, Mrs. Ramsay evaluates memorable experiences from the social interactions she has encountered. There is a failure of gaining the philosophical attrition and understanding that the individuals claim. Therefore, the author attests that it is solely important for collaboration in the quest of understanding the underlying meaning of life. Mrs. Ramsay feels that “…life, from being made up of little separate incidents which one lived one by one, became curled and whole like a wave which bore one up with it and threw one down with it, there, with a dash on the beach. (Woolf)” The depiction of this view is that life is a quest; a process in which the individuals strive to maintain a longitudinal value and attain happiness. Cultivating a society that promotes equality is the only way to attain happiness and discover partially if not fully the meaning of life. Woolf concludes the book with the saying that “.... I have had my vision. (Woolf)”. The vision depicts a better life, one in which the character escapes from the daunting daily challenges and acquires freedom. A society in which she does not have to worry of her sons and strive to satisfy his husband. Her vision is of an equal society where the meaning of life is realized, and the worries of life are left behind and put aside. Woolf, Virginia. To The Lighthouse. New York: Harcourt, Brace & Co., 1927. Print.